If you’re a general manager, considering an Audio over IP network for your facility makes sense. The technology is faster, cheaper, and better than previous methods to build broadcast facilities. By converting to AoIP, you not only tap into the power of current technology, you allow your facility to leverage the enormous universe of “off the shelf” IT devices that are used worldwide, and not just in the broadcast industry. Here are our top five considerations for general managers thinking about a move to Audio over IP. 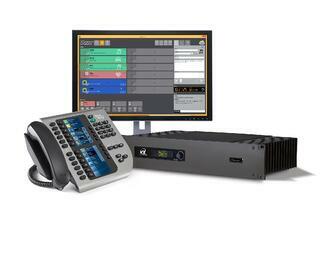 BIG Performance for Small Facilities: VX Prime Broadcast VoIP System Launches! Today Telos Systems launches the Telos VX™ Prime, a broadcast IP telephone system ideal for smaller facilities with two to four studios. Telos VX Broadcast phone systems are well-known for providing incredible operational power, flexible, adaptable workflows, and superior audio quality on an IP backbone. Now, the VX Prime system builds upon that legacy, offering the same caliber of audio quality and performance to smaller facilities. Been wondering whether a SIP-based phone system is right for you? It's been a couple of years now since Telos introduced our VX Broadcast VoIP multi-studio phone system. Ask any broadcaster who owns one, and they'll tell you: VX delivers som pretty powerful sauce. Tim Schultz writes "A station I am doing work for just ordered an Nx6 POTS system; they also want to save some money by using a VoIP provider instead of paying the telephone company for POTS lines. I plan to purchase a multi-line (probably an 8-station) terminal adapter to convert the VoIP back into analog (FXS) lines. I'm guessing not all terminal adapters are not created equal as far as audio quality is concerned. Are there some that you can recommend, or perhaps warn me to stay away from?"